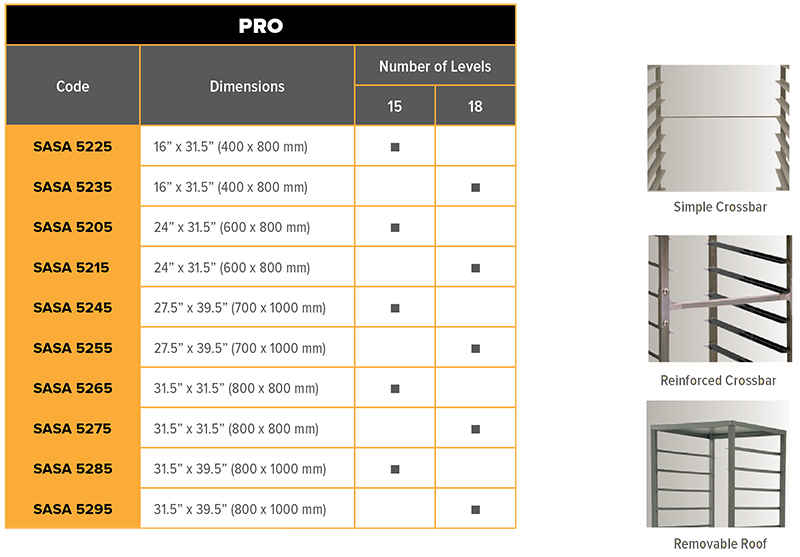 SASA racks have been designed to withstand the stresses of daily use and they are known for their excellent resistance (weight, shock), durability (stainless steel), and ease of use. Constructed in square tubes of 1” x 1” (25 x 25 mm). Delivered dismantled (assembled model is an option). 4 high-temperature resin wheels, Ø 3.4” (80 or 100 mm) galvanized fork. To place an order call (609) 395-0219 and a customer service representative will help you select the right products for your location. 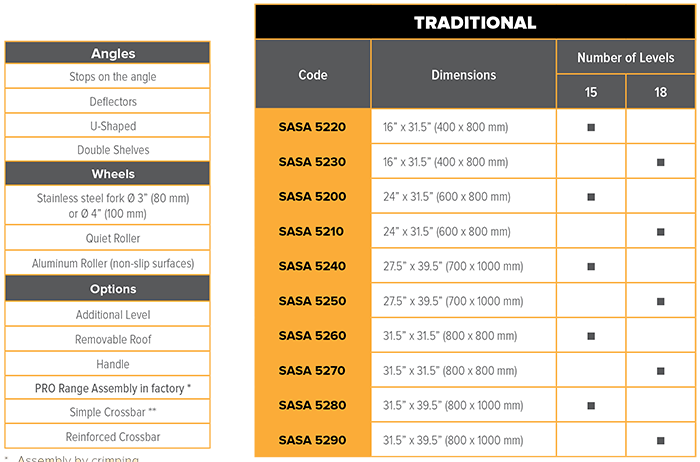 The SASA Traditional range is the perfect answer to your made-to-measure product needs. Our specialists design solutions that are tailored to meet your specific needs. Pre-assembled Rack (dismantlable model is an option).